Since the Transparency of Lobbying, Non-Party Campaigning and Trade Union Administration Act became law at the end of January, charities and other non-party campaigners have been trying to decipher what the new rules will mean for them. However, until the Electoral Commission publishes its full guidance on the rules in early next month, much will be uncertain. The commission has so far published six online "campaigner updates" – the latest of which came out last week – designed "to introduce the key concepts and explain the changes brought about by the act to campaigners who are unfamiliar with the rules", according to a spokesman. But these updates are of limited use to the charity sector, according to Vicki Bowles, a solicitor at Stone King. "For non-charities, or if you’re coming at it completely for the first time, I think they’re quite useful," she says. "But what charities really need to know is when they will fall into the act’s definition of regulated activities." Under previous legislation, the only activities potentially regulated by the commission were election material and associated staff costs, but the lobbying act expands this to include various public and media events, research and transport, and staff costs. These activities are subject to reduced spending caps if they "can reasonably be regarded as intended to promote or reduce the electoral prospects" of candidates, groups of candidates or parties. The sector is therefore waiting with bated breath for clearer guidance on that definition. "A lot of trustees I’ve spoken to don’t want to get to grips with the law and spend a lot of time understanding it if it then doesn’t apply to them," Bowles says. "So it would have been useful to have that at the beginning." Not that this situation causes total paralysis. Richard Benwell, parliamentary programme manager at the wildlife charity RSPB, says it has made preparations for when the regulations come into force on 19 September, including updating its accounting systems so it can monitor what it is spending on relevant activities. But he adds that the Electoral Commission’s updates haven’t given his charity everything it needs. "We knew that we had to wait until July for the full advice, and so it’s been good to get some information in the meantime," he says. Elizabeth Chamberlain, policy manager at the National Council for Voluntary Organisations, says the definition of regulated activity "will always be fairly ambiguous and open. The commission has always refused our request to create a tighter definition, on the grounds that it could open it up to abuse and the creation of loopholes". The spokesman for the commission is keen to emphasise its work with the sector. "We have been in discussions with a range of campaigners as they have approached us for bespoke guidance and advice," he says, adding that feedback from a survey concluded in March and several other events will help inform its final guidance. Unfortunately, though, Bowles, Chamberlain and many others believe the commission has been put in a tight spot because the law has been poorly drafted. 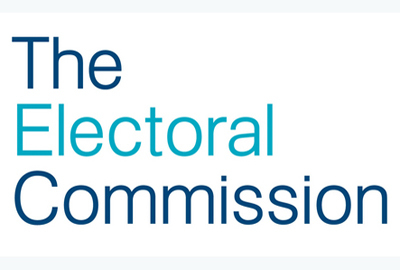 A briefing sent by the Electoral Commission to MPs before the second reading of the act in the commons in September warned of this very danger. "We do not think it is appropriate for us to have a wide discretion over what activity is covered by the rules," said the briefing. That, however, seems to be just what they have been given.